April 4 2017 a group of 18 birders met in the warm morning at Kiwanis Park for the walkabout. 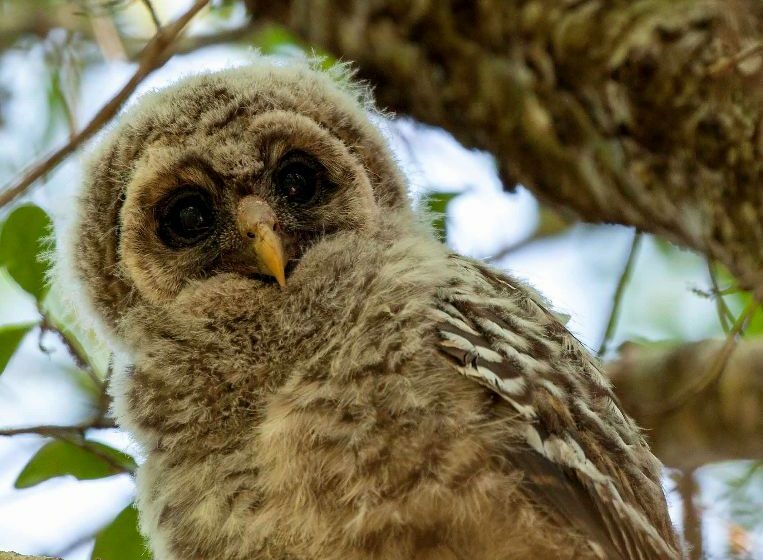 A baby Barred Owl sitting on a limb next to the nest, greeted us in the children play area. The parents were not to be seen and it was reported that there are 2 siblings in the nest. Walking by the pond, a Tricolored and Little Blue Heron were observed with their breeding colored bright blue beaks. Overhead a family of Purple Martins flew by. 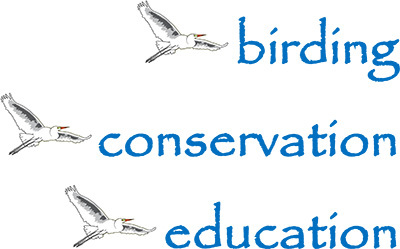 We did not see the Swallow-tailed Kites, as they are reported to be breeding in the area. The warblers and song birds hadn’t arrived yet, as the weather has slowed their migration.